Congratulatons Green Olive Arts (Tétouan, Morocco) on your five year anniversary. Thank you so much, for hosting me back in 2016, it was a life changing experience to work on my drawings of people in the streets, in Tétouan as well as in Chaouen. And thank you for including my work in your retrospective exhibition featuring art from past artists in residence*). 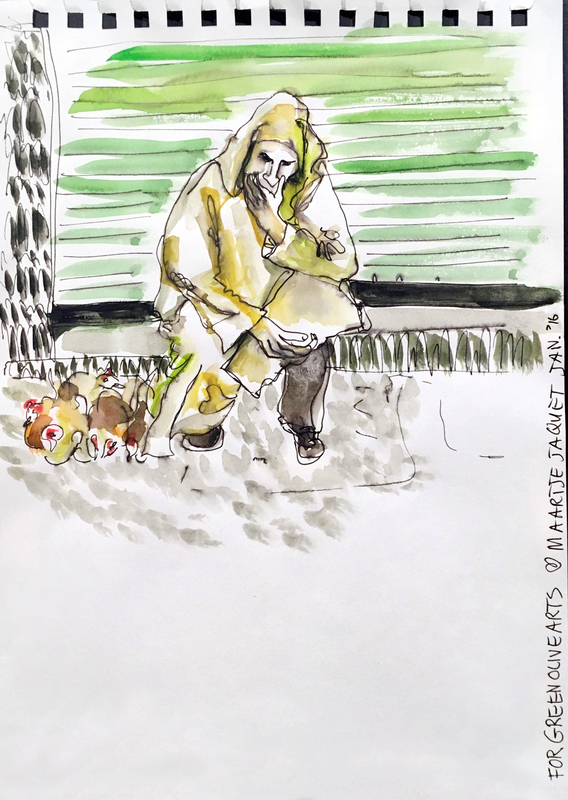 Posted by mjaquet on 2018/10/07 in "group exhibition", artist in residence, drawing & painting, exhibition, news and tagged "group exhibition", artist in residence, drawing and painting, goa, green olive arts, international group exhibition, morocco, northern morocco, pen and watercolor, tétouan, watercolor.